Artist Statement An alternate version from my original poster switches the direction of the words and colors for a different look. My goal for this poster was to create the sense of urgency and importance. I started by experimenting with the words "go" and "vote" to see how they could interact with each other. Because they both share the letter "o" I thought this would be a nice way to have them intersect and create an eye-catching word-image. Then I realized the "o" could be the mouth of a person yelling to everyone, "GO VOTE" I rotated the inner counter of the "o" 90 degrees to give it more of a lips shape. To really pump up the volume of the poster I drew the tongue and uvula to make it look like it was yelling!! I also tried variations of borders but found the 50 stars to be both meaningful and simple enough to not over power the word-image. 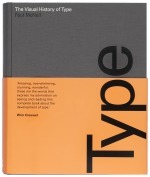 The text is set in Atlas Grotesk Bold.